No home is complete without ample amounts of windows. Not only do they allow natural light in and provide ventilation when needed, but they can also help regulate your interior temperature throughout the year. However, poorly installed or older windows may be costing you more in energy bills than they should. If they aren’t rated as energy-saving windows, you are most likely losing heating and cooling through them. 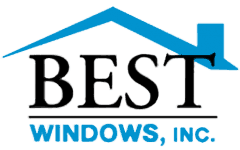 At Best Windows, Inc. you will find a wide range of windows to suit any style of home, many of which carry an NFRC U rating of 0.22 or higher, which means they are energy-efficient. Our installation team has been with us since 2006. They have experience installing a wide range of windows into all sorts of homes. We strive to meet and exceed your needs, and place your satisfaction at the top of our list. 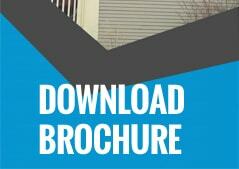 We offer windows from Kensington, Thermolock, and Alside manufacturers. When you are searching for an energy-efficient vinyl window replacement, one of these brands can definitely meet your needs. Any vinyl window replacement for home remodels or room additions should complement your existing decor. This is why you can find a wide range of frame colors to blend in or stand out from your current color scheme. We’re not just window installers! You can find a full line of remodeling, restoration, room addition, patio design, siding, roofing and general contracting services in our portfolio. Turn your average home into an extraordinary showcase property to make all your neighbors jealous. Having been a part of the Chicago area for more than 15 years, we are fully aware of the benefits vinyl window replacement services can bring to your home. If you have any questions about installation or would like to know more about our competitive pricing, please feel free to contact us.